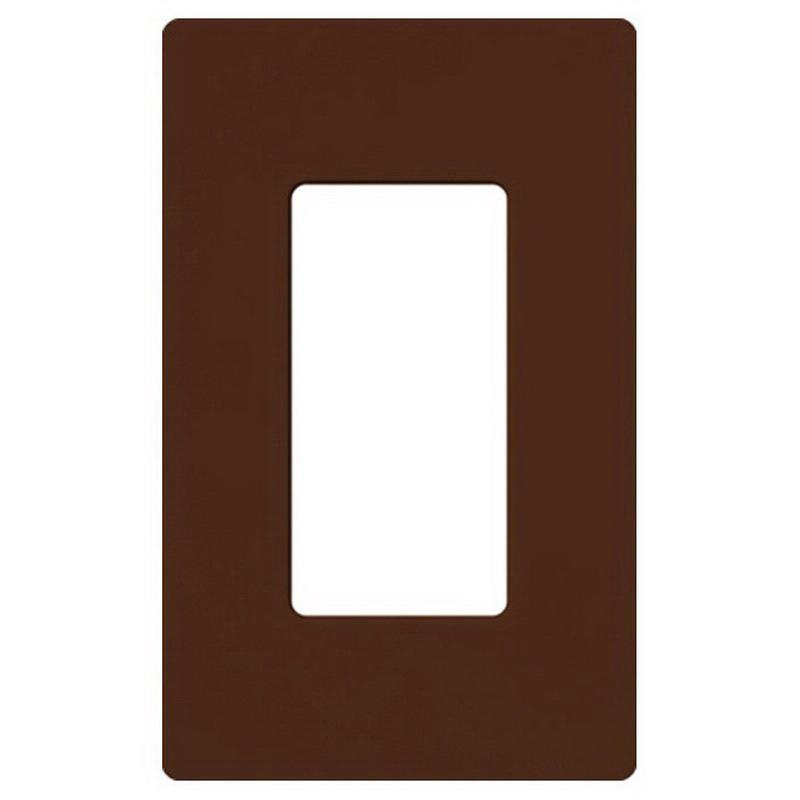 Lutron Claro® Satin Colors® 1-Gang Standard size screwless decorator wallplate in sienna color, has high-quality thermoset construction for longer endurance and satin finish for high-end look. It measures 2.94-Inch x 0.3-Inch x 4.69-Inch. This device mountable designer wallplate in rectangle shape, is ideal to place in vertical orientation. It has cut-out of size 1-5/16-Inch x 2-5/8-Inch. This wallplate employs snap-on design to make installation easier and even more convenient. Wallplate comes in one rectangular device configuration. It is suitable for use with dimmers and switches such as Maestro®, Maestro® IR®, Maestro® Wireless®, Spacer System®, Diva®, Lyneo® Lx, Skylark® as well as Skylark® Contour. Wallplate is UL listed and CSA certified.